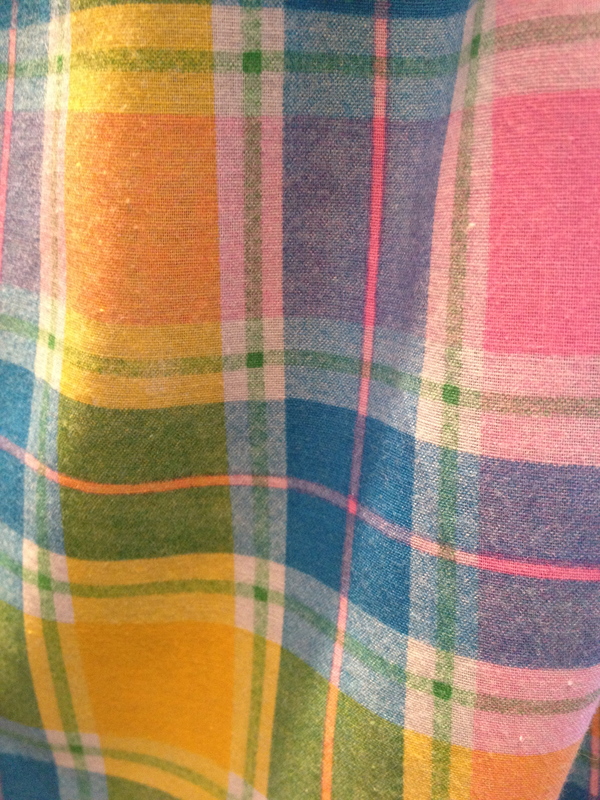 There’s the Easter-egg printed plaid. It’s sheeting weight and feels like cotton/polyester that’s heavy on the polyester. I wouldn’t want it next to my skin, but it’s fine for an apron. Fewer wrinkles! 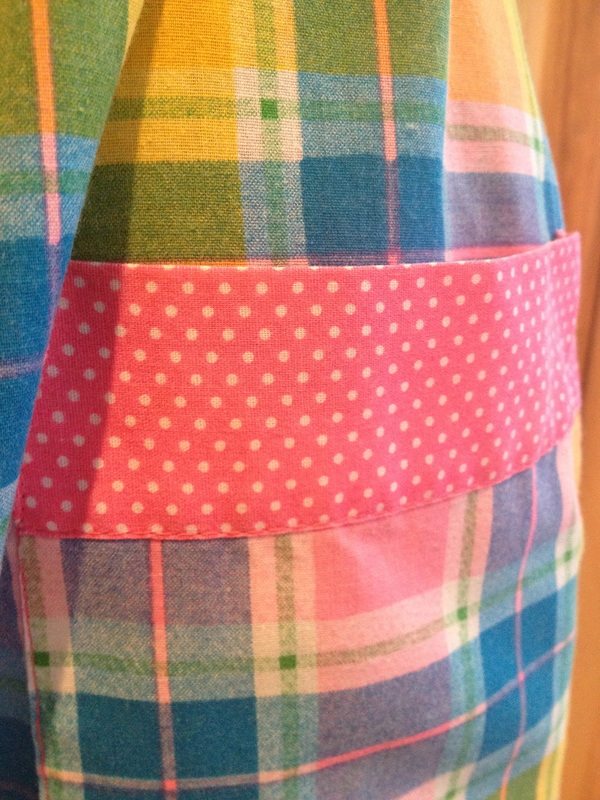 There’s the pink polka-dotted trim on the roomy pockets and the bottom ruffle. Pretty girly! There’s rick-rack, of course. What’s an apron without rick-rack? Because I’m kinda mean that way. If you’re going to sew, you might as well do it the best you can. Because I’m kinda nice that way. 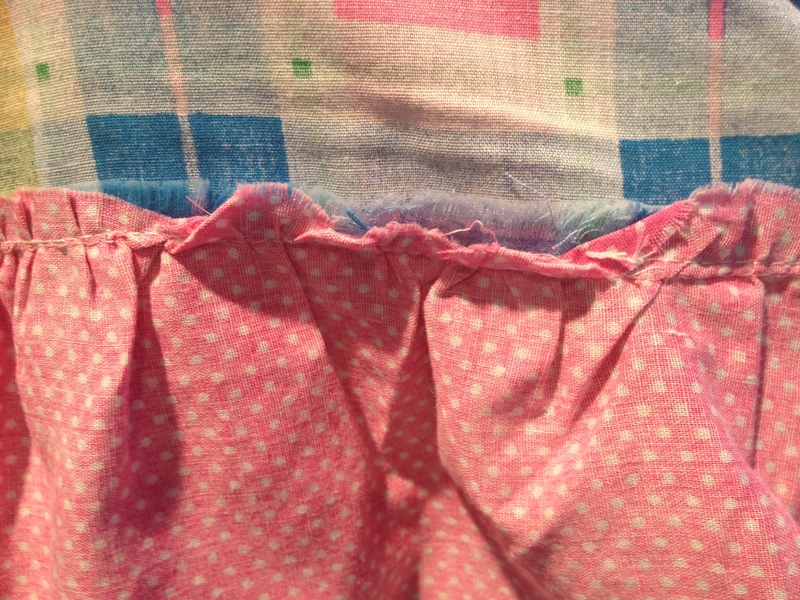 If you’re going to sew, it’s okay to do it the best you can. I think Cinderella would’ve said the same. I absolutely love the colours on this. 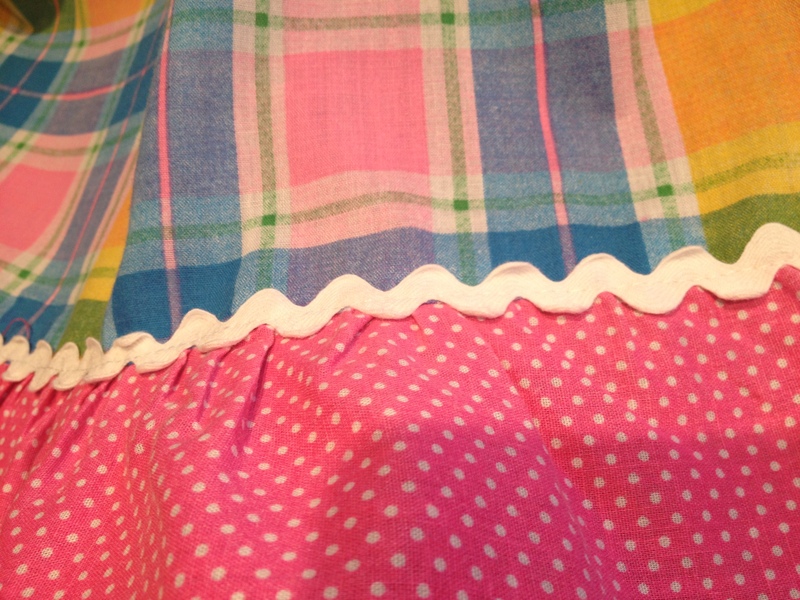 I collect vintage aprons so always appreciate a pretty one. It *is* pretty—that’s what caught my eye in the thrift shop. I was surprised though by how long it is—nearly ankle length on me and I’m tall. A maxi apron to go with a maxi skirt!